Don’t you love how this time of the year ushers in an opportunity to see family and friends when life’s run a tad bit ahead of you? Atlanta is a melting pot of cultures and the city merrily recognizes that people celebrate this time of the year differently, but with a lot of similarities. If you’re spending Thanksgiving or Christmas in the South, you can keep everyone entertained with the top Insta-worthy spots to visit in Atlanta. “Winter Travel Bucket List: Explore Christmas in Atlanta” has been written by ForeverEyeLoveAtlanta.com and does not include any sponsored brand messages however it does contain affiliate links. I may receive a commission for purchases made through these links at no additional cost to you. These coins help me maintain the blog for you to be entertained and learn something new for FREE. All opinions expressed are my own. For more information on our sponsored content and/or affiliate link policy, please visit here. It’s all about the ‘gram for 2018, and the holidays are no exception. From holly decked restaurants, giant gingerbread houses, and skyline skating, to holiday markets, there are oodles of festive spots vying for a coveted space on your feed. I made a list — and checked it twice. Here’s a checklist of thirty Christmas shows and events to keep your loved ones with their eyes all aglow. Possibly the most anticipated event of the year, Infinity Mirrors at the High Museum of Art has already sold out of advance tickets. No need to have FOMO because onsite ticket sales will begin one hour before the museum opens. One hundred people per day will have the opportunity to purchase same day museum tickets to meander through the 2 hour awe-inspiring exhibit. Don’t forget to charge your cell phones before you visit! Head over to their website for more of their family-friendly and date-night events through the new year. Jim Henson's The Dark Crystal: World of Myth & Magic exhibit is open to the public at The Center for Puppetry Arts through September 2019! After observing the magical world of puppetry art, unleash your inner child with Kermit and friends for a screening of The Muppet Christmas Carol. The Muppet characters tell their version of the classic tale of an old and bitter miser’s redemption on Christmas Eve. Viewing the film is included with Museum admission on December 8 and December 15. St. Regis Atlanta’s pastry team has collaborated with Sugarfina for a second year to unveil a life-size gingerbread house. The luxe candy company will be selling it’s succulent candies within the gingerbread house for a pop up store that guests can enjoy. The hotels’s holiday tradition welcomes visitors as they enter the property’s grand lobby, and you can join in on more of their festivities through New Years Day. First time to Atlanta? Be sure to add the World of Coca-Cola to your tourist to-do list. It’s open every day except for Thanksgiving Day and Christmas Day. Get a behind the scenes look at the bottling process, embrace the atmosphere of open happiness, and send your tastebuds on a rollercoaster ride of flavors. The “thing to do” when in Downtown Atlanta, it’s a quick skip through Pemberton Park from the Georgia Aquarium. The largest aquarium in the world is gifting us a Festival of the SEAson tree lighting every morning at 10:30 a.m. The Georgia Aquarium’s beautiful atrium will be filled with holiday cheer of carols and holiday favorites. Visit their website for a calendar of Christmas events for all ages. From Puddles Pity Party & Friends Holiday Jubilee, The Nutcracker, and Cirque Dreams Holidaze to John Legend, the Fabulous Fox Theatre Atlanta is the holy grail of holiday show venues to snuggle in close to your loved ones. Ridesharing or catching a MARTA to North Avenue train station is SMARTA than attempting to park and shuffle. Plan to get there 90 minutes ahead of showtime to indulge in the new Marquee Club space. Gift the teachers in your life an Educator Appreciation Pack for a night out with Atlanta Hawks against the Denver Nuggets. You can view the basketball team’s promotional calendar for a themed game that best suits your interests. Seeing the Atlanta Hawks is interactive fun for friends and family to enjoy all season long. Become mesmerized as Midtown Atlanta is transformed into Santa Claus Lane for the annual Children's Healthcare of Atlanta Christmas Parade. Get out there early and grab a hot chocolate as you hold down a prime viewing spot to witness marching bands, ornate floats, and helium-filled balloons glide down Peachtree St. for the largest holiday parade in the southeast. On Saturday, Dec. 1, CHOA’s Christmas Parade will begin at Peachtree and 16th streets at 10:20 a.m. and end at the cross section of Peachtree and 5th streets. If you want to see the action live from the comfort of your bed, catch it on WSB-TV Channel 2 at 10:30 a.m.
Now that we’ve gotten you started, here’s the rest of the list to enjoy with friends and family under twinkling lights. Receive monthly date night and family friendly ideas on the best things to do in Atlanta delivered straight to your inbox. A welcome email is on its way from me to your inbox later this week. Be sure to give it a peek for answers to questions you may have. I’m honored that you value my integrity and want to stay connected with us. Thank you for joining the Love Worthy Tribe! I’m sure most of these activities can be replicated in other major cities with a quick google search. I want to know your Thanksgiving and Christmas plans below. Do you have any family traditions for the holidays? How can you spread joy and cheer to others during this season? Are there any stale habits that need to be shed before the new year? Pin this post for later! Remember to follow me on Pinterest. If you’re interested in being featured in our monthly newsletter, please sign up for our quarterly partnership newsletter. Thank you for your interest in partnering with FELA. A welcome email is on its way from me to your inbox later this week. Be sure to give it a peek for answers to questions you may have. I’m honored that you value my input and want to partner with us. 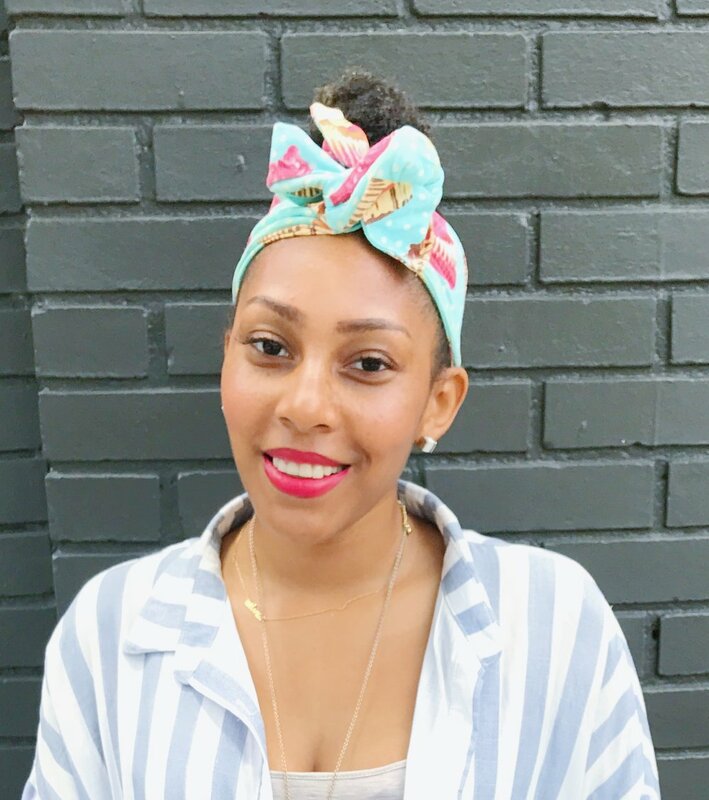 Bianca is a hot toddy sippin', festival lovin’, LGBTQ content strategizing, Om addict. When she's not blogging, you can catch her eating through a city, tinkering in the kitchen, or redecorating with her mood. Continue the discussion on Instagram, Twitter, and Facebook! HAVE A WORTHY WEEK WARRIORS!